Credibility is imperative for every teaching establishment. This can be attained and substantiated in several ways, but it must be earned. 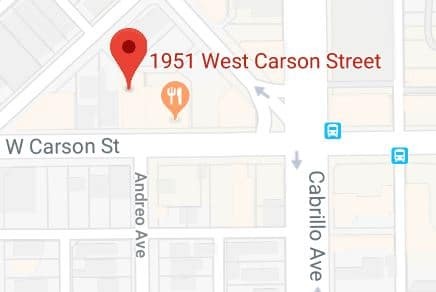 Old School Kenpo’s history, heritage, and unparalleled record of success represents tangible evidence of our credentials. Old School Kenpo Karate has a decade-long record of producing top quality martial artists in a friendly setting. The studio’s motto of “A Small School with Big Results” is true on both levels: It is an enterprise that has purposely never grown to a size where students get lost in the crowd, and it is one that has produced martial artists of the highest caliber whose shared dedication and camaraderie makes Old School Kenpo a genuine family. 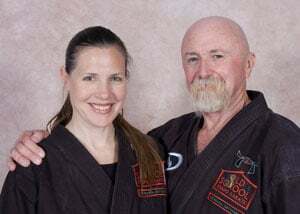 In 2005, studio co-founders and head instructors Jennifer Thomas and Bill Hayes combined their passion for the art of Kenpo with their unique talents to form Old School Kenpo Karate. Jennifer and Bill married in 2016 with a ceremonial black-belt handfasting performed by members of their Old School family, strengthening the already-strong personal bonds of the school. Bill began his training in 1974, spending five years in Japanese Shotokan before discovering the Chinese-based Kenpo of Ed Parker. 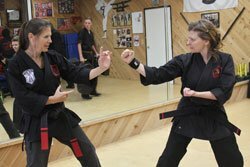 Jennifer discovered Kenpo 30 years later, quickly climbing the ranks ahead of others in the same studio and organization. Bill and Jennifer’s life paths merged as they developed the distinctive training style that comes when streetwise experience is coupled with athletic acumen and precision and when lifelong wisdom is infused with fresh enthusiasm and excitement. Jennifer now owns and operates the school as a sole proprietor. We pride ourselves on our continual quest to improve, advance, and expand. The pagoda roof symbolizes a feeling of home—a place where family is found. Our students are our family—a close-knit group where mutual respect, love, and loyalty guides us forward. and strike them from angles they wouldn’t expect in offense. The cobra in particular is depicted in the logo due to its exceptional strength and deadliness when confronted. A true sensei (“one who has gone before“) makes a student realize—through his or her example and instruction—that the martial arts is not just a hobby, a sport, or a casual exercise plan. It is a way of life begun centuries ago behind the walls of China’s Shaolin Temple that remains strong today amongst those who seek it. Training at Old School Kenpo Karate involves far more than learning fancy moves and techniques. Our training program combines the timelessness of traditional Ed Parker Kenpo with the streamlined techniques of the Karate Connection curriculum, developed by Ed Parker’s protégé, Chuck Sullivan, and his student Vic LeRoux. As a female-owned studio, Old School is also proud to tangibly promote women’s empowerment. Not only are fifty percent of the black belts produced by the studio female, but we also offer an acclaimed Basic Yet Brutal: Women’s Self-Defense course. Whether to adopt Kenpo as a lifestyle is up to the individual, but our instructors passionately strive to make each training session meaningful and fulfilling. By combining old school principles and standards with forward-thinking innovation, we provide an experience that stays with our students forever.